If you are using C# for creating apps, you may want to use it to fetch the URL of the current page. This requirement is extremely common in web apps, or apps that take advantage of external or internal resources. 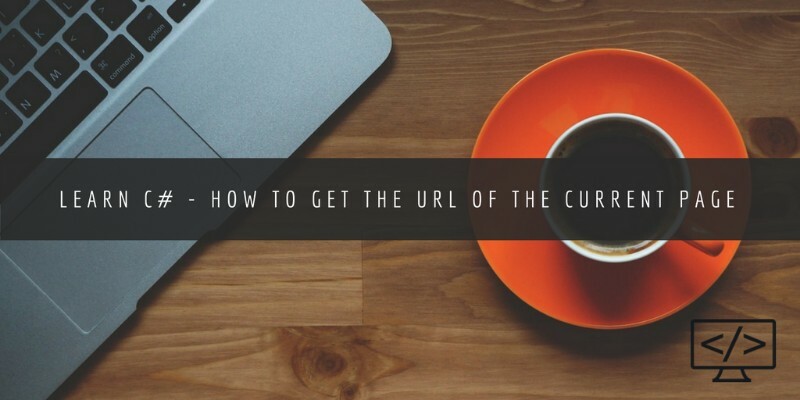 In this tutorial, we will cover how to get the URL of the current page using C#. Without wasting much time, let’s gets started. This will return the absolute URL. www.google.com, for example, or it will return localhost URL if you are in the local environment. It should be kept in mind that Url.AbsoluteUri does return anything after the “#” symbol. When working on an app, you might also want to get different results for different purposes. Let’s go through them, one by one. The path string variable will return “/app/homepage.aspx”. The host string variable will return “localhost”. The authority string variable will return “localhost:1345”. The port string variable will return “1345”. The app_path string will return “/app”. The path_and_query string will return “/app/homepage.aspx?query1=a&query2=b”. As you can see, you can get different parts of the URL according to your requirement. Just make sure you store the variable correctly and don’t use concatenation to get different parts of the URL. You can read more about URL properties here. If you feel stuck and need more help regarding this function, you can post your queries in the comment section below. Learn C# – How To Get Int Value from Enum?